Rockport is a brand synonymous with style and comfort from every day, casual shoes to more classically stylish dress shoes. The one thing that underpins a Rockport shoe is attention to detail and quality construction. With their ranges including Rockport, Aravon, and Dunham, the perfect Rockport Shoes exist for you, and in our Best Rockport shoe guide, we’re covering off some of their most stylish and comfortable designs. So put your feet up and relax as we take you through our guide to the current best designs that Rockport has to offer. 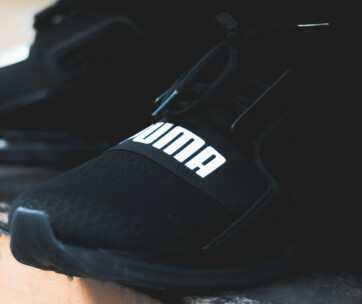 With no break in time required and manufactured from a range of innovative, flexible materials, you’ll soon be rocking your own pair of these globally loved shoes. 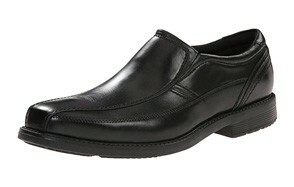 The Style Leader 2 shoe from Rockport is a stylish slip-on constructed from leather and with a square shaped toe. This makes the shoe an excellent choice for special events or for more professional and business-like scenarios when a formal dress shoe is appropriate. You can forget dress shoe and hours of breaking in required. 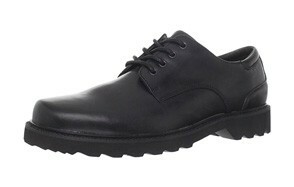 This is a Rockport engineered shoe, after all, so you are getting supreme comfort coupled with attractive design. The EVA comfort outsole is lightweight yet provides ample shock absorption which works to reduce foot fatigue. No need to worry about embarrassing foot odors either as these slip on’s feature DEWIX linings that actively wick moisture to help keep your feet dry. Be sure to also check out our list of the top Chelsea boots for more great shoes like this. Designed in the classic Oxford style, this is ruggedly attractive men’s lace-up shoe from Rockport that is stylish and practical. The Northfield enjoys a host of features that your feet will immediately fall in love with, including anti-fatigue EVA cushioning. They have a plain toe and are the perfect smart casual show, with fully waterproof construction. This is achieved through their Hydro-Shield patented technology which keeps feet dry no matter how extreme the weather conditions outdoors. A classic pair of Rockport shoes that have easily made it onto our Best Rockport Shoes recommended list. And if you are searching for good waterproofing, you’ve come to the right place. We have made a list of top waterproof boots, so check them out. For the dedicated traveler and worldly wise among you, this is a classic yet contemporary looking shoe from Rockport that delivers solidly on performance and comfort. Constructed featuring their proprietary Walking Platform Construction, the World Tour is a supportive shoe with plenty of flexibility and padding. It’s also supremely comfortable and protects the wearer from blisters which are always a nuisance when breaking in a new pair of shoes. They also feature easy to care for full grain leather which is comfortable and can be cleaned without any fuss. A stylish, comfortable and versatile pair of Rockport walking shoes. A traditional looking lace-up Oxford style shoe that has been redesigned and brought up to date making it the perfect choice for the office. The Margin has a classic toe and is an excellent example of a casual dress shoe that looks just as good with a suit as it does your denim jeans at the weekend. It provides all-day comfort and features an anti-microbial lining so your feet will be fresh all day long. If it’s a superior comfort, casual lace-up that you are looking to invest in next, then the Rockport Margin gets our seal of approval. And if you are working outside, we reviewed good work boots so check them out. Making it next onto our Best Rockport shoe list is this classic Penny Loafer. An easy to wear slip-on and is supremely comfortable and effortlessly stylish. Your feet seriously won’t believe just how comfortable this dress shoe is. They’re not so much slip-on’s, more like comfortable slides! You won’t want to take them off your feet. They work perfectly well with a suit as much as they do with your khakis or smart denim jeans Built to last and also to support your feet from fatigue. The tryTECH sports technology really does ensure that these Penny Loafer’s deliver day-long comfort and protection. If regular walking is one of your pastimes, then you will know and appreciate the value of a good pair of walking shoes that have been specially designed to support and comfort you all day long. These Charnson Walking shoes from Rockport do just that and are so comfortable you won’t even know you’re wearing them. Ruggedly handsome with a lace-up design they model and shape to your foot for a smooth ride. With a latex footbed and their Adiprene technology, these provide next level comfort and support. The rubber outsole delivers plenty of traction too across all kinds of terrain and in changing weather conditions. Lightweight and breathable, yet durable and secure. And for the hikers among us, out hiking shoes review offers more great products like this, so make sure you check them out as well. A super smart lace up in the classic Oxford style. Packed with Rockport design and technologically advanced features this Charles Road Bike Toe shoe is the ultimate in comfort and support. Whether you are running to the office or dashing out for dinner, with these Oxford’s on your feet, you will look stylish and feel effortlessly elegant. They also feature a soft knit lining for unparalleled levels of cushioning and cloud-like comfort. For more leather shoes, check out our Chukka boots review. If loafing around in a casual pair of loafers is more your style then don’t worry as yet again Rockport have a model that will have you putting your best foot forward. Their Pether Loafer has been designed to wear barefoot, perfect for when you are vacationing. They feature plenty of durable grip which makes them a stable ride across multiple and varied surfaces. The ideal shoe for pretty much any occasion which is why they have firmly made it onto our Best Rockport Shoe list today. They are similar to a comfortable boat shoe. A beautiful and very stylish Derby style lace-up shoe from Rockport, this is timelessly elegant and perfect for business or pleasure. With its removable ortholite footbed too it is a supremely comfortable and supportive shoe that if you look after and maintain correctly, will seriously last you a lifetime. A great investment and a fabulous example of quality Rockport footwear engineering. Be sure to use a shoe protector spray so these beauties can last longer. A fabulous slip-on design men’s dress shoe, if you want to “Lead the Pack” in the style stakes, then you need a pair of these waterproof shoes from Rockport adorning your feet. They are sleek and stylish yet hard-working and dependable. With their Hydro-Shield construction, Lead the Pack Waterproof Slip-On shoes are waterproof while the EVA cushioned footbed delivers next level comfort and support. Rugged enough to withstand the elements but elegant enough to wear with a suit for a special occasion or a business function. Our handy guide to the top water shoes features more great products like this. The Sharp & Ready Colben is a classic silhouette of a shoe in the Oxford style which has been redefined by Rockport. They’ve retained all the beautiful design aesthetics and features you’d expect from an Oxford brogue style but bought their advanced technology and manufacturing innovation to the shoe to deliver incredible comfort and anti-fatigue features. It’s a shoe that looks just as good with a suit as it does denim and khakis and really will compliment a whole range of ensembles. For its flexibility and its versatility, it has made it firmly onto our Best Rockport Shoe review. The Rockport Marshall Oxford is a superior looking lace-up shoe with all the classic features you would expect from a beautiful leather Oxford. It features plenty of additional comfort features to recommend it as a firm contender in this Best Rockport Shoe review. It also comes fitted with an anti-microbial lining which is very convenient, especially in the warmer months, as it really helps to keep your shoe and your foot fresh and odor free. Rockport have a wide selection of shoes to suit all budgets and all tastes too so when compiling our list of recommendations, we extensively researched the range to ensure that there was something for everyone that made the cut. You’ll find slip-on’s, lace-up’s, classic style Brogues, Loafers and shoes in the Oxford and Derby-style that have all made it onto our Best of review. Our recommendations reflect versatility, strong design aesthetics, superior quality manufacturing and technical innovations as well as price tags for everyone. We are confident that there is a Rockport shoe on this list that will be perfect for you. It’s always important when choosing any new shoes but especially an investment pair from an established brand like Rockport Shoes that you really weight up all the considerations to ensure that you get precisely the correct pair for you. All the below should be on your pre-purchase checklist so get clear on the style of shoes you are looking to buy and what their principal use will be. 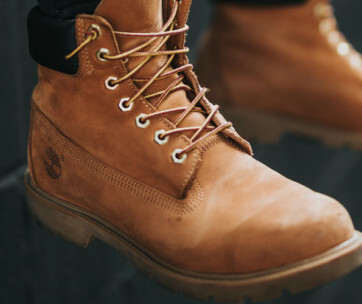 If you are only ever going to wear for special occasions or indoors then durability and waterproofness may not be high up on your list whereas if you want a pair for every day use and regular walking, you need to prioritize comfort and fit. Whatever your needs and purpose of use, you can be sure that Rockport Shoes has your well catered for. Rockport is all about merging comfort with style to create a range of smart and sophisticated shoes that fit well, look great and are enduring. Shoes are in their DNA, and every part of their design is carefully thought out from the first sketches through to the final designs. Initially, a father and son startup business, operating out of the back of a van in 1971, they are now a global brand. In order to indeed confirm just how comfortable the shoes are, former Vice President Tony Post completed the 1990 New York marathon actually wearing a pair of their DresSports shoes. In 2005 they introduced a range of shoes that were completely machine-washable taking easy-care shoe style to a whole new level. 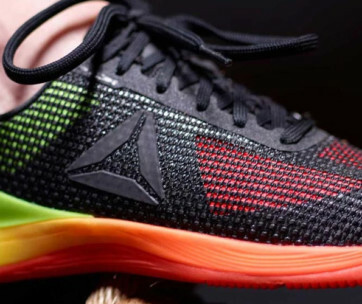 By 2013 they were once again making strides to innovate the footwear category with the introduction of Total Motion technology, developing an advanced cushioned product with improved flexibility, stability and with superior lightweight construction. Finally, in 2015, The Rockport Shoes Company successfully merged with Drydock Footwear to create the Rockport Group, owners of the brands Rockport, Aravon, Dunham and the popular Cobb Hill collection. Q: Why Choose Rockport Shoes / Footwear? A: There are many reasons why you should choose Rockport shoes for men to dress your feet, but the singular most important one is their technological innovation that provides the most stylish and simultaneously comfortable range of shoes. Always at the forefront of technical construction, Rockport deliver modern and classic styles that look and feel the business, whether you are hot-footing it into the boardroom or hanging out casually in your backyard. 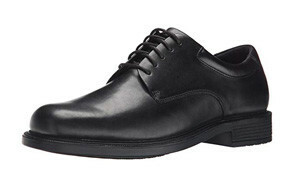 There will be a men's Rockport shoe that is absolutely perfect for you. Their ranges include Total Motion, truTECH and truFLEX, all of which come with a variety of features and benefits that you, and more importantly your feet, will really appreciate. Features like climate control and antimicrobial linings to keep your feet cool and dry. Extended sizes and widths to cater for all types of feet and form-fitting materials that adapt and fit uniquely to you with no break in required. Q: How To Maintain Rockport Footwear? A: Care for your shoes correctly, and they should last you a lifetime. If you maintain good practices when looking after your investment, they will keep their shape for longer, look better for longer and also maintain their water resistance. Of course, depending upon whether you have purchased leather, suede, nubuck or fabric will determine the best way to take on-going care of your Men's Rockport shoes. However, below are a couple of generic top tips that will help you to get continued longevity, comfort and wear from your shoes. Do not wash your shoes or insoles in your washing machine unless your make and model recommends explicitly that. Don’t polish your shoes when they are wet either. Always check the specific instructions of your make of Rockport shoe and be sure to follow any detailed cleaning instructions. If you take good care of your Men's Rockport shoes, they will certainly take good care back of your feet for many years to come.